Written by JEFF PARKER, FRED VAN LENTE & PAUL BENJAMIN Pencils by MANUEL GARCIA, JAMES CORDEIRO & DAVID NAKAYAMA Cover by CLAYTON HENRY It's Spider-Man's amazing adventures in the Wall-Crawler's very own magazine! 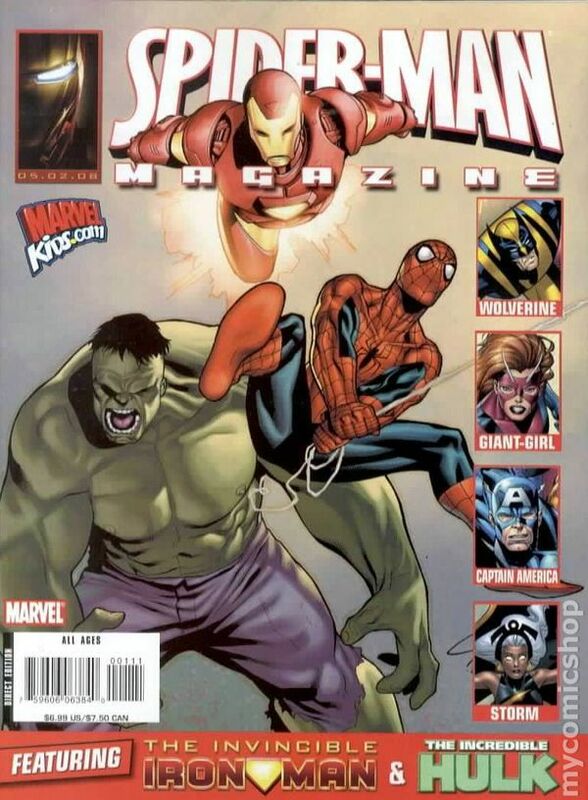 Read more stories of your friendly neighborhood Spider-Man and his spectacular friends Iron Man and the Hulk. See how brilliant scientist Bruce Banner was cursed to transform into the rampaging Hulk! Marvel as Iron Man takes on the Plantman in the ultimate Nature vs. Technology grudge match! Collecting MARVEL ADVENTURES AVENGERS #4, MARVEL ADVENTURES IRON MAN #3, MARVEL ADVENTURES HULK #1 plus a brand-new Iron Man and Hulk tale and tons of extras that will knock your socks off! 96 PGS./All Ages...$6.99 Cover price $6.99.